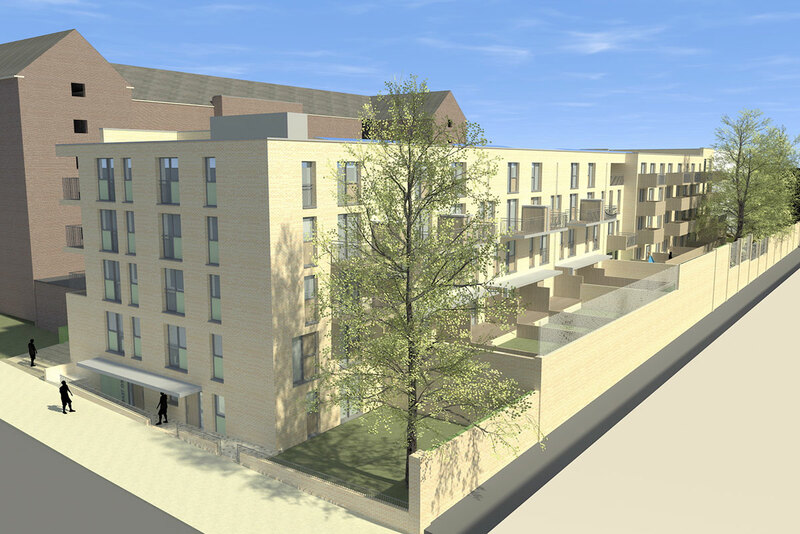 The project was won via a limited invited competition bid. 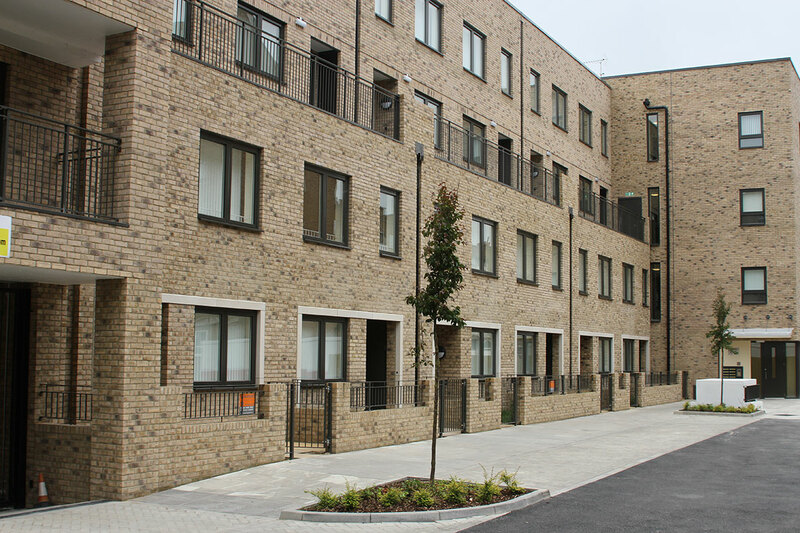 Brooklime House and Chervil House are made up of a total of 20 homes for social renting and 20 for shared ownership, and built on the site of former garages at Bridge House, off Homerton High Street. 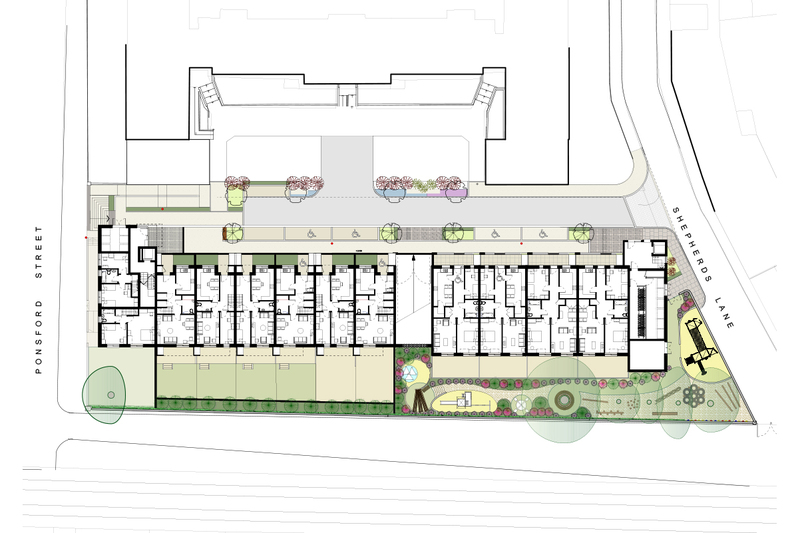 The outside spaces include children’s play space and underground car parking. 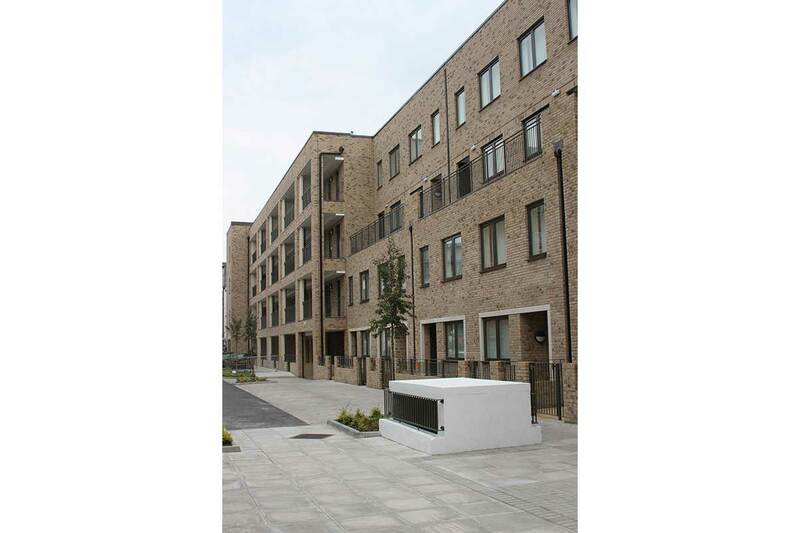 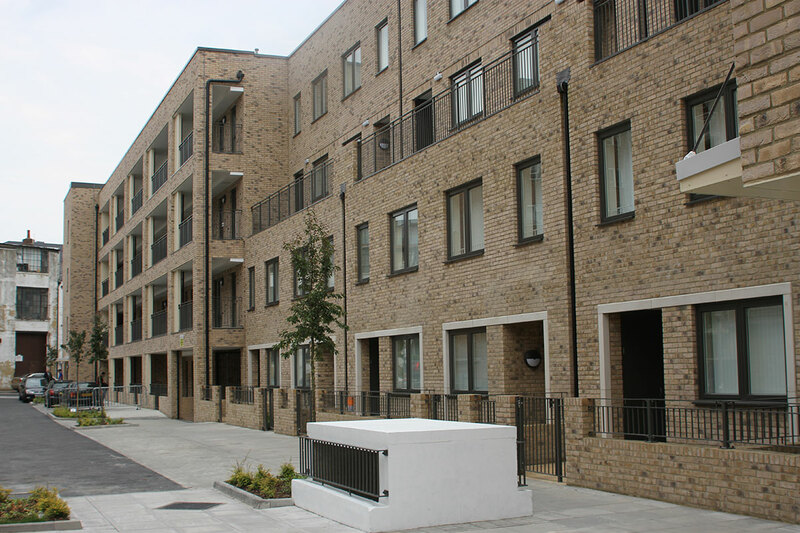 The new homes were funded by Hackney Council and the Homes and Communities Agency as part of the Council’s Six Estates regeneration programme. 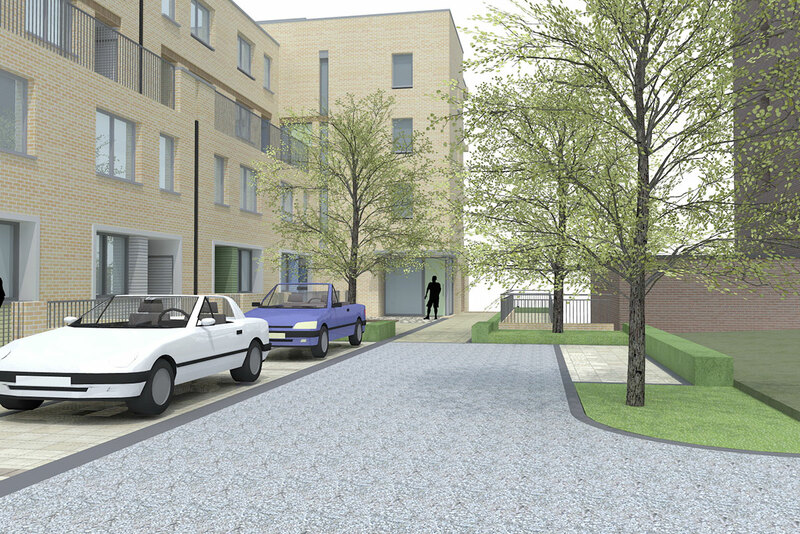 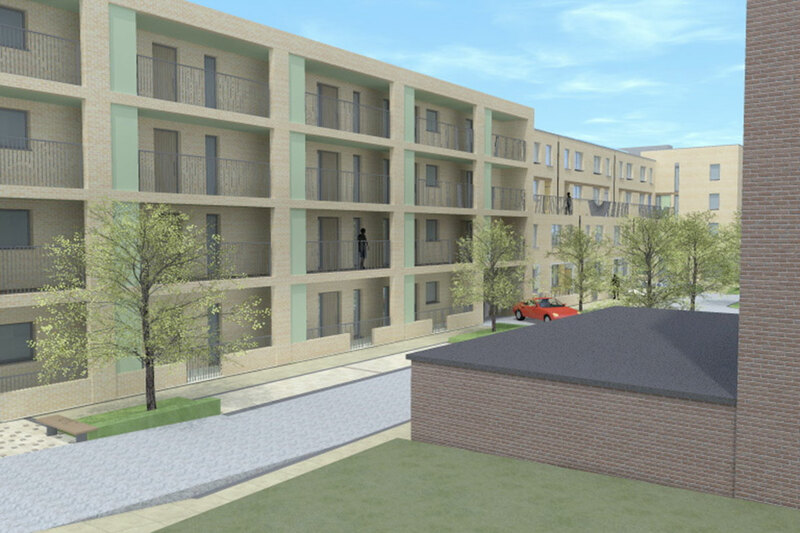 The scheme received full planning permission in October 2010. 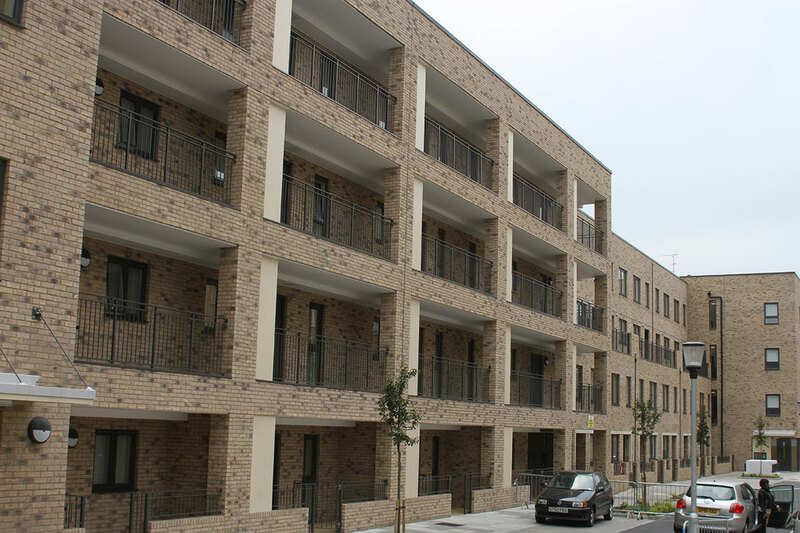 Lovells where awarded the contract and works were completed early 2013.